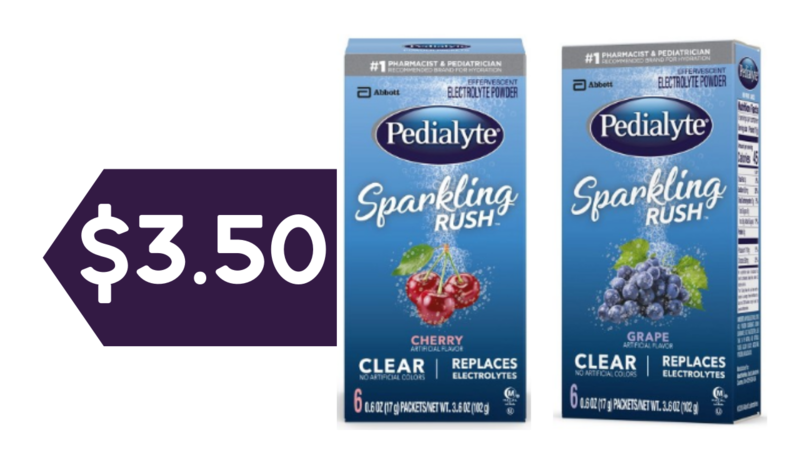 For times when the little ones are sick, grab Pedialyte Sparkling Rush powder packets for only $3.50 (reg. $10.99) at Target! To get the offer, combine a $2 off printable coupon with a 50% off Target Cartwheel.